Subsidy-free solar farms using battery storage will be subject to new business rates in 2022. Image: Anesco. The Valuation Office Agency (VOA) is calling on the sector to engage with the development of business rates that will be applied to energy storage projects in 2022, including those attached to subsidy-free solar farms. The division of Her Majesty's Revenue & Customs (HMRC) is currently investigating how to apply new rates to the revenues accrued by energy storage technologies, including standalone and co-located projects with all generation technologies, Solar Power Portal has learned. Following last year’s widely reported and controversial review, which saw a ‘solar tax hike’ of six to eight times the previous levels applied to existing solar installations, the VOA is now casting its eye towards energy storage, which currently are not included in the business rating list at all. The new rates to be applied to storage for the first time are likely to impact subsidy-free solar farms currently being developed. Historically, business rates have been applied to the subsidy payments made to solar projects under the Renewable Obligation and feed-in tariff schemes. However, with the UK moving to a subsidy free environment, these are likely to be applied only to the generation capacity of the solar park that it exports to national or distribution grids. With many of these projects planning to use battery storage to build a subsidy-free business case, the VOA is seeking out where new battery projects are being planned or built and if they are co-located with solar farms. Using technology and revenue values in 2020, two years before the next review as set in legislation, rateable values could be applied in two ways to these projects. The VOA is considering the use of a capital expenditure or contractors’ revaluation, taking into account a range of initial project costs to form an annual equivalent of business rates applied to revenues. A second method would see a receipt summed expenditure model used which would use income streams for frequency response and other sources, versus the expenditure on the project, to work out a rateable value which would then be applied. The “issue”, according to the VOA, is that while generation outputs from solar plus storage facilities would fluctuate throughout the year, so would the prices the solar generation was able to recoup on the wholesale market. This would result in hypothetical revenues from frequency response and arbitrage, for example, being used to make rateable values, with a possible rebate scheme - similar to that used currently on wind farms - being considered. For this to be effective, the VOA would need engagement from industry and trade bodies in identifying the value of these less transparent revenue sources to ensure accurate business rates are applied. Speaking to SPP about the agency’s work, a VOA surveyor said: “We're in the early stages and are hoping to get trade bodies on side to provide us with some insight. We were first of all thinking co-located sites would be only looking at storage for the solar and then selling it on some of the time whereas as was evident at the [Energy Storage Summit], that's one string to their revenue stream. If we can get trade bodies involved we'll be in a much better standing. There is concern that solar and storage developers will be hesitant to come forward with their business cases on the grounds of commercial sensitivity, however the VOA has assured the market that any such information will remain within the government body. Discussions have already held with the Solar Trade Association, which has told SPP that the process to establish business rates for energy storage will need to be fair and consistent across all applications. Chris Hewett, chief executive of the STA, said: “The VOA process will take some time, and we want to be as open as possible to support their research. It will be important that the valuation of battery storage is consistent, regardless of the technology it is co-located with, or if it is a stand-alone project. Back in September the STA won a partial victory on business rate increases applied to solar when the VOA allowed installations that export power to the grid to be spared from rising costs. However, those used for self-consumption remained subject to the hike and the Renewable Energy Association, which is expected to have a meeting with the VOA in the coming months, has warned against the same measures stifling the growth of the energy sector sector. 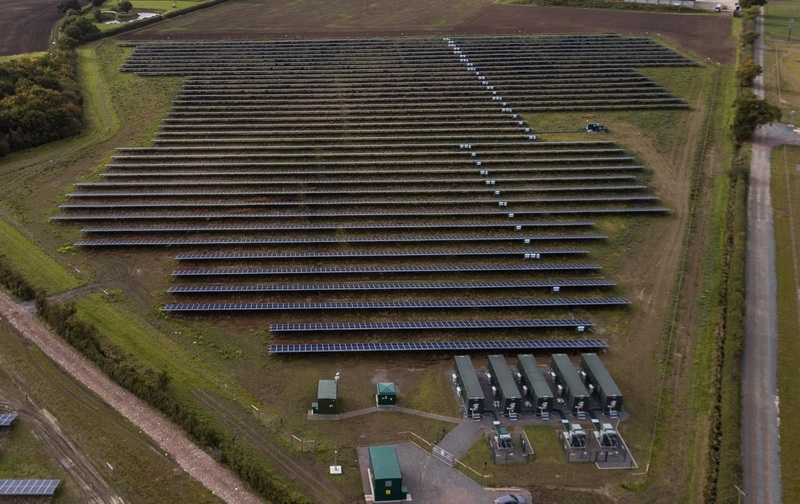 James Court, head of policy and external affairs at the REA, said: “We hope the VOA learns the lessons from the solar re-valuation in deciding business rates for storage. This is still a nascent technology, which both the government and industry agree can play a hugely significant part in the decarbonisation of the energy system.